We love to see how happy our dental patients are with their healthy and beautiful smiles. Many of them have shared their experiences with us and we are proud to share what they’re saying with you. “I have been going to Southern Oregon Dental for the past 14 years. They are very gentle and everyone there is exceptionally friendly. Dr. Aoto is the nicest Dentist I’ve ever had. Whenever I have a problem they handle it with competence. They also have a very nice senior program. I recommend them to everyone”. “I have been seeing the same dentist every visit for the last four years. I like that they know and understand me and I really value the stability of the clinic. I had a root canal there and feel very comfortable at Southern Oregon Dental”. Friendly and professional very customer oriented. 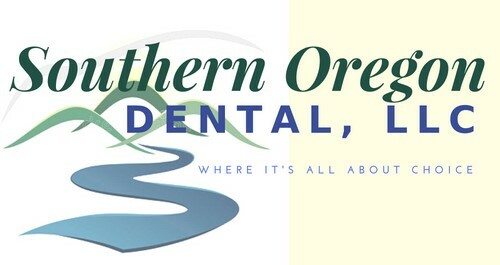 We highly recommend Southern Oregon Dental. “Southern Oregon Dental is awesome. They are like a second family to me. I love everyone of them. My Dentist treats me like family, and the dental hygienist is the very best. Every staff member there really cares. I can't say enough good things about them. I have had extensive work done including several implants and felt absolutely no pain. They have been my Dental family for the last seven years - and I just love 'em".